Scenic Orange County, with its forty-plus miles of coastline and hilly terrain, is ideally located to offer an impressive selection of ocean view homes for sale. Ocean view real estate ranges from small condos and townhomes with seaside views, to estate-sized properties boasting sweeping vistas of the Pacific Ocean. 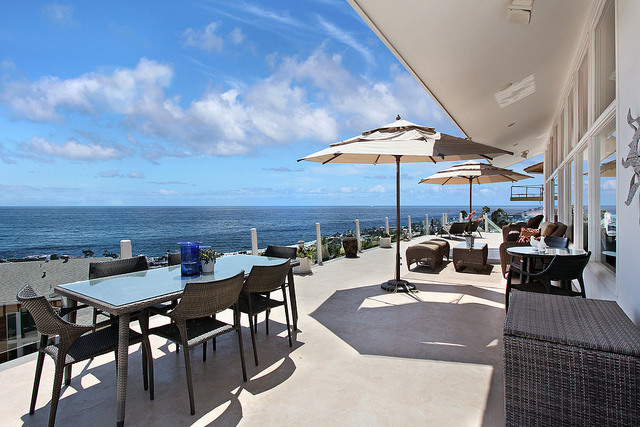 We provide extensive knowledge and experience in assisting home buyers with ocean view real estate for sale. Feel free to browse below for the current inventory of all ocean view homes for sale or you can search by city. 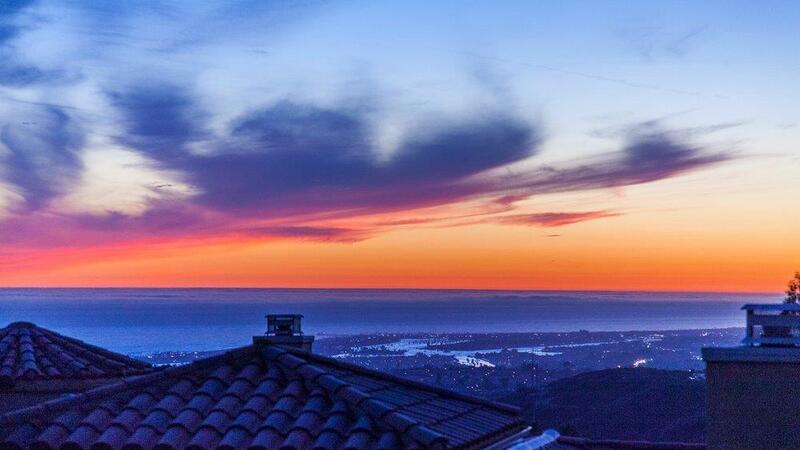 Find out more about Orange County's ocean view real estate below! With a world-class location like Orange County, there is no shortage of terrific Real Estate with a remarkable water view! Ocean view properties for sale throughout Orange County can vary in style from more laid-back, surfer-friendly homes (and townhomes) to incredible, high-end mansions, but the fact is that all of the homes in this area lay claim to Southern California's unmatched style of living, along with some of the finest amenities imaginable. Yes, there is an amazing ocean right nearby, but Orange County also boasts cultural benefits, world-class entertainment, and outdoor activities galore. It really seems that nearly everything is within easy striking distance-even the bright lights of Los Angeles are well within a very reasonable round trip drive. This, of course, is one of the reasons why many professionals choose to live in Orange County ocean view homes, and commute to the city for work-or play, if desired. Living in the coastal Orange County communities of San Clemente, San Juan Capistrano, Dana Point, Laguna Niguel, Laguna Beach, Corona Del Mar, Newport Coast, Newport Beach and Huntington Beach provides anyone with the opportunity to recharge the batteries, and get away from the stresses of Los Angeles. One excellent choice for ocean view property located at the southern tip of the Gold Coast-is San Clemente, which makes it possible for residents to simply relax on the beautiful and sunny ocean shores, or enjoy a leisurely stroll down to the San Clemente Pier. This pier is surrounded by outdoor cafes and charming bistros. San Juan Capistrano is one of the most historic options for sights along the Pacific, offering the cliffs (and the migration of the world-famous cliff swallows) and the beautiful Mission of San Juan Capistrano. Dana Point is a fine community for residents who enjoy boating and other seaside activities, while Laguna Niguel and Laguna Beach offer what are widely recognized as some of the most beautiful beaches in all of Southern California. In addition, Laguna Beach is known locally as both a seaside resort and a burgeoning artists' community. 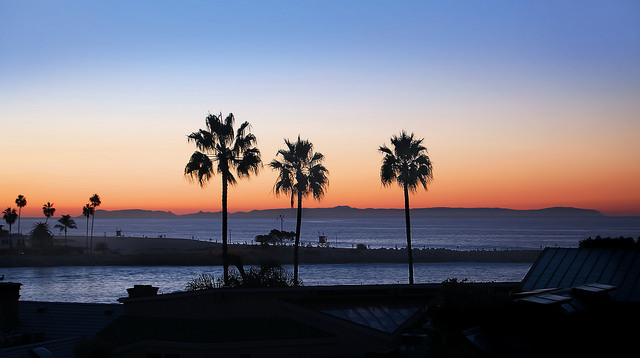 Corona Del Mar is aptly named the "Crown of the Sea." In addition to its scenic presence on the Pacific, the city offers beautiful streets lined with flowers and trees. There is easy access to numerous beaches in the area, such as the fantastic Corona Del Mar State Beach, as well as Crystal Cove State Park. Families may also want to take their kids (and even the grownups) to enjoy the marine wildlife and beautiful sites at Little Corona Beach. Newport Beach and Newport Coast offer beaches which have been announced as some of the cleanest coastline in the entire country, and the city of Newport Beach itself lives up to the challenge of housing some of the most distinctive families and individuals along these pristine shores. Huntington Beach is rated as one of the ten safest cities by City Crime Rankings and offers quality community services. Internationally known as Surf City, Huntington Beach is the place for outdoor activities such as surfing, sailing, beach volleyball, fishing, tennis, golf, or just a sunny day at the beach. The City of Huntington Beach has two natural landmarks at its borders--the Bolsa Chica State Park/Reserve and the Santa Ana River Jetties. Of course, what good is ocean view property if it is too cold to enjoy it? In beautiful Orange County, the residents are favored with a Mediterranean-style climate; this means that the weather here is like the weather along the Mediterranean Sea. (It also means that there really isn't a bad time of year in Orange County!) Summers along the Pacific here range from warm to hot, with temperate spring and fall weather--which is so nice it could count as summer in many other areas. Even the middle of winter along the Gold Coast is only cool, since frigid temperatures simply do not occur in this area of Southern California. It is a source of pride for Orange County residents that the area offers proven excellence in education. This can begin with younger children attending private Montessori schools or award-winning public preschools and elementary schools located along the Gold Coast. Unsurprisingly, the public high schools in Orange County rank among the top percentages of high schools in the entire United States. The high schools also tend to offer exceptional extracurricular activities as well as first-rate instruction. Above and beyond secondary education, of course, there are University of California campuses in Orange County that provide undergraduate, graduate, and professional programs for every interest. Private colleges and universities only add to the tremendous diversity of educational options in this part of Southern California. Orange County offers its residents some of the finest medical care in the State of California, and it is all right close by--even when you are living with an ocean view! So many other areas of the country would require a significant distance from first-rate medical care in order to "get away" to the ocean, but in Orange County the local medical centers and hospitals cover almost every range of medical and surgical care imaginable. With all of these points in mind, remember that we are here to provide our extensive knowledge and experience in assisting home buyers. Our skills and knowledge can make the difference in finding the right ocean view real estate for sale, whether you are interested in San Clemente, San Juan Capistrano, Dana Point, Laguna Niguel, Laguna Beach, Corona Del Mar, Newport Coast, Newport Beach, or Huntington Beach. The real estate experts at The Aaronson Group will be happy to provide you with further information or assistance regarding Orange County ocean view real estate and available ocean view homes for sale. Fill out the form below or connect with us now to get started.